This widebeam is really more like a large houseboat than something you would cruise with. She is in need of attention inside out out but has great internal space and lots of potential. The webasto heater is broken and will need replacing and the bowthruster needs a new seith panel. 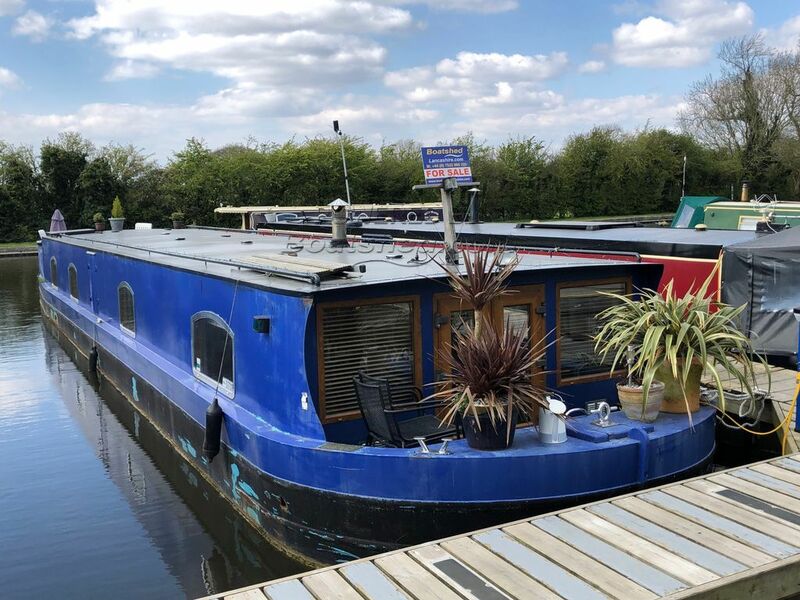 The residential mooring is available to the new owners if they wish to keep the boat at this delightful marina on the Lancaster canal. She had a leak through a fitting on the roof which has now been repaired hence the head lining damage in the saloon. This HQB Boats 57ft Cruiser Stern Widebeam has been personally photographed and viewed by Paul of Boatshed Lancashire. Click here for contact details.